Helen Waaka, ( Ngāti Whātua, Ngāti Torehina ) completed a Graduate Diploma in Creative Writing with the Whitireia Creative Writing Programme in 2011. In the same year she had two stories, ‘Hineraumati’ and ‘Obsession with Katherine’ published in Huia Short Stories 9 with ‘Hineraumati’ winning the best English-language short story section of the Pikihuia awards. In 2012 she was awarded a New Zealand Society of Authors mentorship and in 2013 she had a further two stories, ‘Staying Alive’ and ‘Eva’ published in Huia Short Stories 10 with ‘Eva’ receiving a ‘highly commended’ award in the Novel Extract category of the Pikihuia awards. A second novel extract ‘Eyes of God’ was short-listed in the 2015 Pikihuia Awards and has since been published in Huia Short Stories 11. Her debut collection of short stories Waitapu was published in October 2015 and was one of two finalists in the Te Tuhinga Auaha section of Ngā Kupu Ora Māori Book Awards a year later. She has since had another story ‘The Apology’ published in Huia publisher’s ‘Stories on the Four Winds-Ngā Hau e Wha.’ Helen holds a Bachelor of Nursing and a Post-Graduate Certificate in Women’s Health. She currently works part-time as a nurse in Hawke’s Bay. 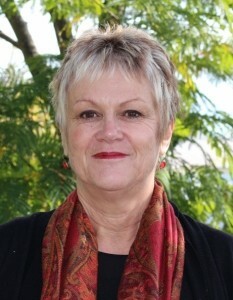 Helen is available for public speaking in the Hawkes Bay region. For all inquiries, please refer to the contact page. Also please see Q&A about Helen on the NZSA Midcentral District Facebook page.